Publisher's synopsis: The year is 1927. 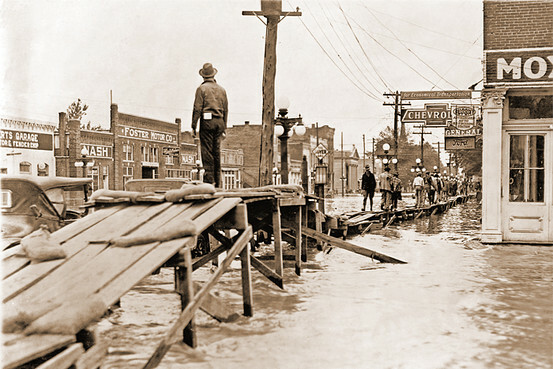 As rains swell the Mississippi, the mighty river threatens to burst its banks and engulf all in its path, including federal revenue agent Ted Ingersoll and his partner, Ham Johnson. Arriving in the tiny hamlet of Hobnob, Mississippi, to investigate the disappearance of two fellow agents on the trail of a local bootlegger, they unexpectedly find an abandoned baby boy at a crime scene. My opinion: Enjoyable historical fiction, but not as good as a novel as Crooked Letter, Crooked Letter by Tom Franklin which, admittedly, is possibly not a fair comparison since it is not historical fiction. In this novel, Teddy, Dixie and baby, Willy, are wonderfully drawn characters. I wanted to adopt Willy myself. The flashback scenes from both Teddy and Dixie Clay really add to the story. The only character that I really had issues with was Jesse, Dixie Clay's husband. We are shown in some flashbacks that he was nice enough to Dixie Clay for the first couple of years of their marriage that she didn't even know he was a moonshiner. Then by the time of this story, six years later, he is like the devil incarnate with no explanation for the change. And for a such an important person to the story as a whole, he is hardly actually in it. I would have liked for Jesse to be more of a part of the story and to have his character fleshed out a little more. I had never heard of the floods of 1927 until earlier this year when I read a book by Bill Bryson, One Summer: 1927 that recounts the devastation of the floods and the part Herbert Hoover played in relief and recovery efforts. 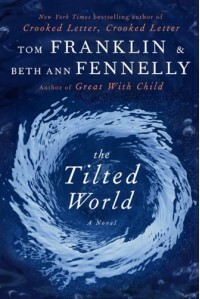 The Tilted World does a tremendous job of describing how desperate the people of this Mississippi town were with the flooded river and the efforts they attempted in order to keep the saboteur from blowing up the levee and destroying the town. 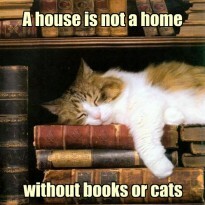 The reader can feel their desperation and the despair of everyone down river when the levee finally gives way. Definitely recommended, especially for readers who enjoy historical fiction with a southern setting.